Toys 'R' Us has filed for bankruptcy protection in the United States and Canada, as it attempts to restructure debt following tough competition from online retailers like Amazon. The move leaves the future of the company's 1,600 stores and 64,000 employees in the dark, though a judge approved a $2 billion loan to help stabilize the company. 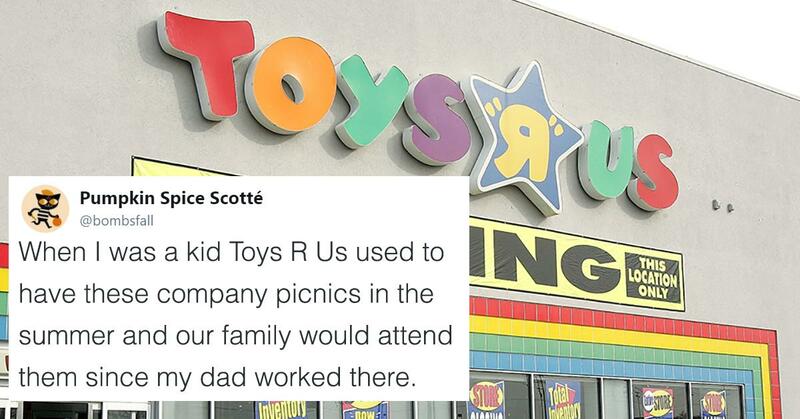 The news has given many of those who loved the store as a child a nostalgia trip, and Twitter user Scott Benson recently took to Twitter to share exactly what it was like to have a dad who worked at the store as a kid. Spoilers: it wasn't nearly as amazing as you would expect. it took me until i was older to realize they were all broken or out of their packaging. so i had some random bits of toys over the years. i should describe that: imagine a tube of toothpaste, cap and everything, but instead filled with a liquid bubble gum. but stale. the other perk was sometimes we'd get to go in the store and play with the broken toys in the back. lots of broken toy memories in general. there were two really nice, very Perfect-Dark-level-esque buildings. each housed a bunch of different national departments. maybe someone who makes pediatric false eyes? I don't know about you, but when I was young, my dad worked for Nintendo.